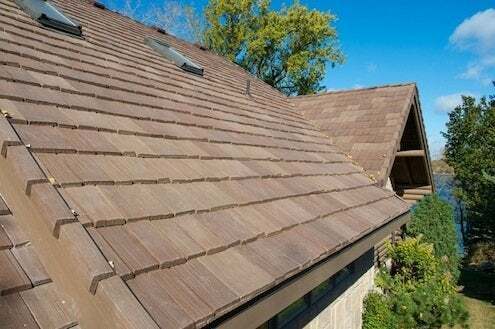 Coming up with alternatives for traditional shingle materials has proved a steep and slippery slope for a surprising number of manufacturers. Class-action lawsuits have showered down as so-called “lifetime” roofing products with names like Hardishake, Maxishake, and Permatek have prematurely failed. Virtually indistinguishable from real slate and wood, EcoStar’s composites have earned approval for use in historic preservation projects. And their “Class A” fire rating and “Class 4” impact-resistance position the company at the top of its class for both measures. Another manufacturer, CertainTeed, offers a luxury line of composites under the brand name Symphony. Made of polypropylene and calcium carbonate, CertainTeed’s well-regarded product is a ‘dead ringer’ for slate. 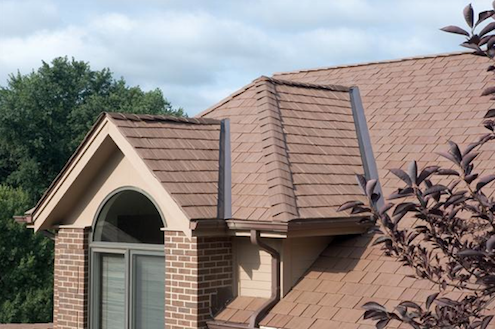 Arguably, the lightweight and fade-resistant Symphony shingles improve upon the genuine article. Aside from being cheaper to buy and less costly to install, they are backed by a 50-year warranty and boast Energy Star certification. 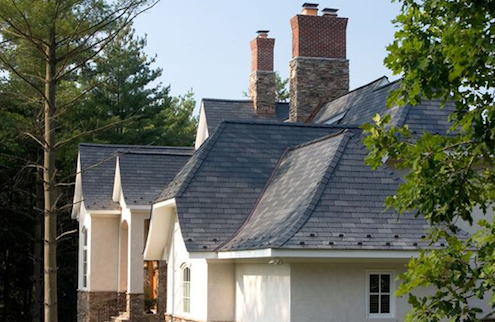 A third company, DaVinci Roofscapes, LLC, offers perhaps the most comprehensive line of composite shake and slate-type products. Polymer-based, with top impact and fire ratings and a strong warranty, Davinci shingles come in multiple widths and colors, enabling homeowners to create blends with realistic textures and shade variations. So what’s the downside to composite shingles? Cost. 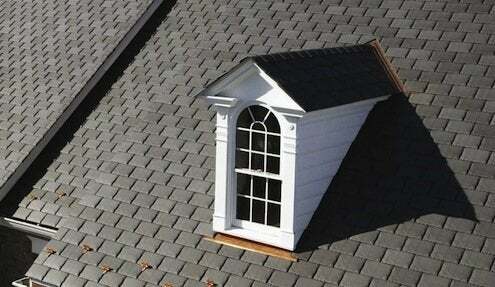 Any shake or slate-like roofs will run about $400 per square, at least four times as much as asphalt shingles. Moreover, in some regions you may find it difficult to locate a certified installer. “Although composite roofs are not as difficult to install as slate and cedar, the contractor will have to know what he’s doing for them to come out right,” says Damato.